As the trail wraps around the west side of the mountain, it travels into a low saddle between the two peaks. Here, the trees all but disappear and views stretching for miles become common. 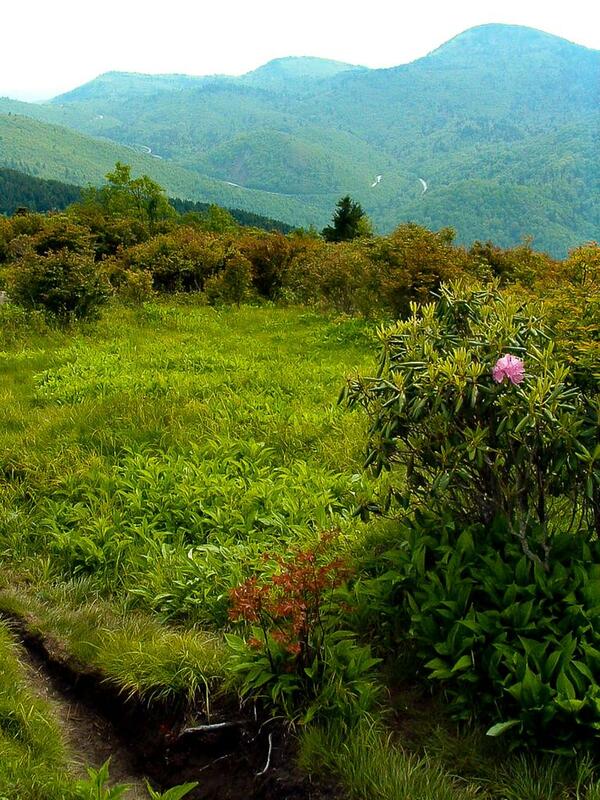 This view is of the Bubbling Spring Branch valley, through which NC 215 winds its way up to the Blue Ridge Parkway.